There are many methods for creating a mind that is one-pointed and joyful, the most important of which is meditation. The Buddhist tradition offers a multitude of diverse meditations. It is said the Buddha taught eighty-four thousand gates of samadhi [one-pointed concentration]. We first meditate on calm abiding [shamatha], as it is indispensable and easiest for those who are beginning to practice. In order to practice calm abiding, we need to know its characteristics, its essential nature, and its various categories. Unless we know these things, we will not know how to meditate. First, we take a posture that is different from our normal one: The legs are crossed; the hands rest relaxed on the knees or with the right hand on top of the left, thumbs touching at the level of the navel; the elbows are slightly raised away from the rib cage; the spine is lengthened; the chin is slightly tucked in; the mouth is closed and slightly relaxed with the tip of the tongue touching the palate; the gaze rests about eight finger-widths in front of the nose. A straight posture helps to keep a stable center while we are focusing on the mind, and for this reason, it is important. If our posture is good, calm abiding will go well. Generally, calm abiding is de? ?ined in this way: “Relying on a correct referent, the mind rests one-pointedly.” It can be divided into three ways of meditating: placing the mind using a support, placing the mind without using a support, and placing the mind on the essential nature itself. When we have become familiar with these first practices and our mind can rest without moving from its object, then we can start the second type of calm abiding, which is without a support. Here, we turn our focus inward and bring to mind an image of the Buddha. If we begin this second practice before we can do the basic one, it will be difficult, since here there is no external object to serve as a referent. With our mind unable to remain focused, concepts will crowd in. So practice the first meditation until it goes very well, and then move on to the second. The third kind of calm abiding is placing the mind on the essential nature itself. Here, there is neither an external nor an internal support. With our mind staying very focused, we meditate free of concepts, which is the highest level of calm abiding meditation. Mastery of the two earlier practices allows this one to be stable. When our mind is undisturbed by any concept that might arise, the natural joy and clarity of the mind will dawn. 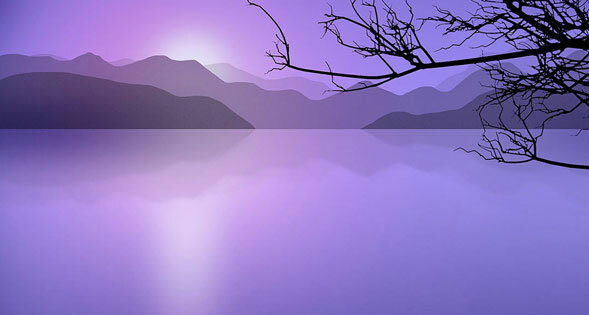 When we have this experience of calm abiding, we will appreciate its great value. Many ways of placing the mind have been taught by the great lamas. They have taught, for example, that we should not run after the past, not call the future to us, and not be moved by the thought present in our minds now. We should remain completely focused on our reference point, abiding within the essential nature. When we become accustomed to this through study and practice, various meditative experiences will arise. The sutras and the tantras give many explanations of these, which can be condensed into five. The first is known as the experience of movement. When we first begin practicing calm abiding, it seems that our afflictions multiply and our concepts increase. Is this a fault? No, this happens because now that we are practicing calm abiding, we begin to see all the afflictions and concepts in our mind. It is not that the practice has created more of them; by simply looking into our mind, we are noticing what was already there. The onrush of powerful concepts and afflictions is compared to a turbulent river plunging through a gorge. arise, but not with the force they had before. The feeling of an onrush has subsided, and the river moves leisurely along its course. Having practiced the first three stages, we come to the fourth, the experience of stability, where our practice of calm abiding has become constant: a vast ocean unmoved by waves. Within this wide expanse, the waves of concepts and afflictions have been stilled. abiding, not only do we attain true stability, we also begin to have a slight experience of the clear, radiant aspect of the mind. The example here is an ocean that is not only free of waves but also clear and transparent. At this fifth stage, in addition to a steady mind, the clear and cognizant aspect of its ultimate nature starts to manifest. This is the fruition of the practice of calm abiding: temporary experiences of the clear, radiant nature of primordial wisdom, or the dharmata. The Buddhist teachings move along a graduated path: first the stages of calm abiding and then the stages of deep insight. Through such gradual practices, lamas of the past gave birth to realization in their mental continuum and discovered primordial wisdom. All the qualities that the great masters found, we can attain as well. It all depends on our own efforts, our diligence, our deeper knowing, and our correct motivation. 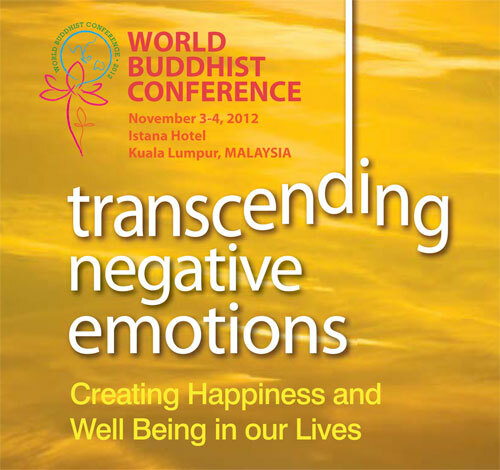 The special mark of Buddhism is that it goes beyond study and reflection to emphasize meditation. In Buddhism, we study and reflect on the dharma; and then, fully blending what we have understood with our mind, we practice resting evenly in meditation. In the beginning, a tree needs strong roots. Similarly, what is most important for meditation is calm abiding. For this reason, I have explained it for those of us who are practicing meditation to help us find mental happiness and well-being. This is my great hope. 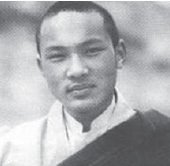 From Music in the Sky: The Life, Art and Teachings of the 17th Karmapa by Ogyen Trinlet Dorje, © 2003 by Michele Martin, translator. Used with permission of Snow Lion Publications, www.snowlionpub.com. Since his daring escape from Tibet in 2000, His Holiness the 17th Karmapa, Ogyen Trinley Dorje, head of the Karma Kagyu lineage in Tibetan Buddhism, gives regular teachings and interviews at his temporary residence, Gyuto Monastery, near Dharamsala, India.